After selling a handful of short stories, Henry Lassiter decided to try his hand at a novel. His inspiration for this undertaking came from reading top rated techno-thrillers. In the vein of Dean Koontz and Michael Crichton, the story-line for The Mirage pits human ingenuity against precipitous odds, using near-futuristic innovation as a backdrop. In addition to fiction writing, Henry enjoys coffee, Netflix, travel, and endurance sports. Not always in that order. 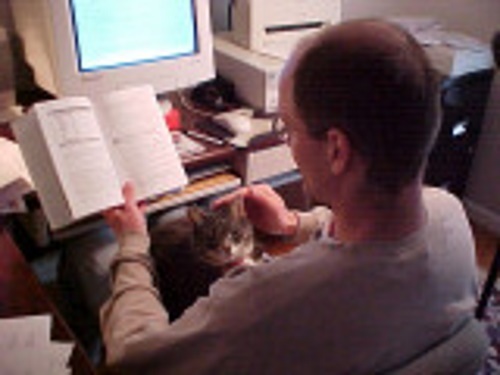 Pictured above: Henry with his reading cat.